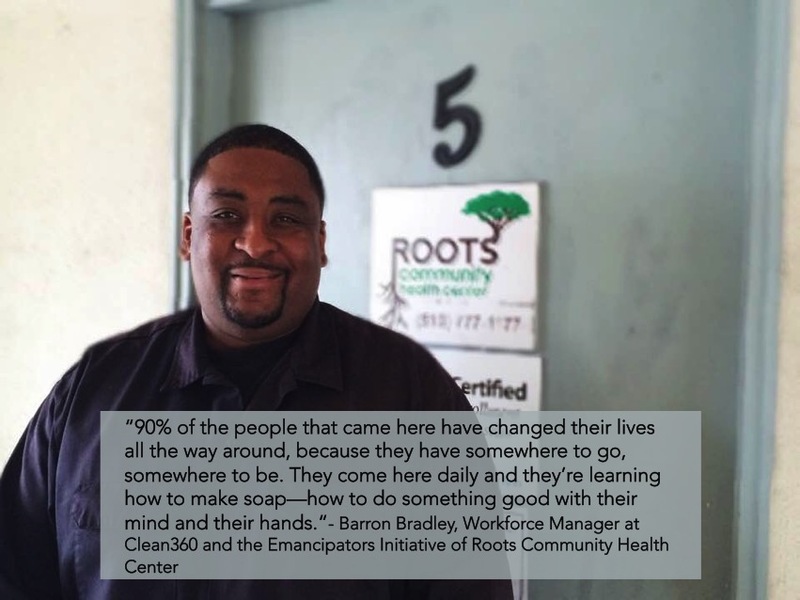 We’re thrilled to share that Roots’ social enterprise, Clean360, was featured in Richmond Confidential’s podcast, Tales of Two Cities! Thanks, Matt Beagle and Richmond Confidential, for helping tell Clean360‘s story! The piece includes the voices of our own Damien Bradley, Barron Bradley, and Aquil Naji. To hear just the segment on Clean360, skip to the 10:50 mark!